Hey, everybody! Can you believe it’s December? And on that note, I’d better explain that y’all should forget I even HAVE a posting schedule this month. With Christmas right around the corner, I’ll be making some adjustments with my posting. More on that later. The winning name was . . .
A tie between Alexandria and Amari! They both had four votes. Victoria received two votes, as did Rachel. Poor Marielle got one vote (although, if I could vote in this, I would have voted for Marielle). Thank you so much, eveybody, for participating in Name That Doll #3. Would you like to see more of these in the future? Let me know in the comments! Hi, everybody! I hope you’re having a great Monday. Today I’m doing a Name That Doll competition. I haven’t done one of these for several months, and I decided it was finally time. The lovely doll below, TrulyMe #49, is the American Girl doll YOU will have a chance to help name. Unlike my last Name That Doll contest, this doll is a Create Your Own instead of a TrulyMe. Also, instead of voting on pre-selected options, you got to come up with your own names. It’s Avaroo2003, with Melody! Congrats! The second-place winner is Rebcake, with Lexie! And our third-place winner is Dianne, with Jillian! Thanks to everyone for their amazing name suggestions! Now, I have a question for you about future Name That Doll contests. Should I use Create Your Own dolls, or original TrulyMe’s? Create Your Own Released + Name That Doll! Hi! 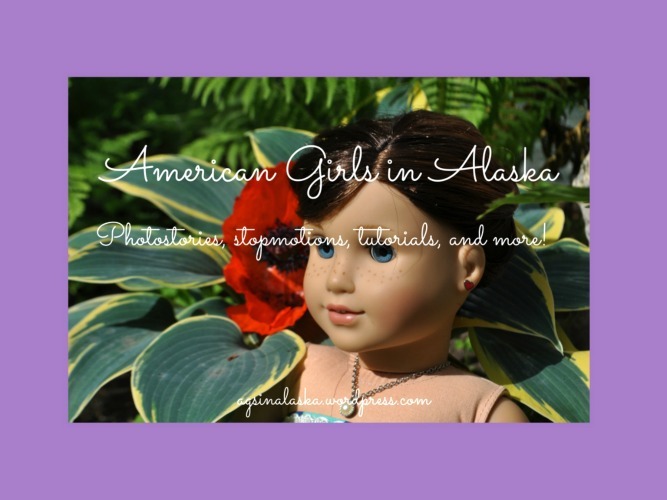 My last post was about Create Your Own dolls, American Girl’s new type of doll. They’re a lot like TrulyMe dolls, except you can customize the doll exactly the way you want her, from eye color to hair color to skin tone and even face shape! Are any of you guys going to be getting Create Your Own dolls? I decided that this doll needs a name – and what better way to do that than a Name That Doll contest? This time, you guys get to come up with your own names instead of voting. Post your name ideas in the description, and on August 16th I’ll pick the name I like best. Winner gets bragging rights! So what are you still waiting for? I want ideas!!! Did you like this Name That Doll contest? If so, please comment and tell me what you liked about it. I’ll do another soon if you liked it. Okay, so I’m not trying to copy anyone but I love the whole “Name That Doll” idea so I thought I’d do one of my own! I’ve seen it two ways – come up with the most creative name that I pick, or vote on a handful. I think I’ll do it the second way, so the five names you can pick from for this girl . . .